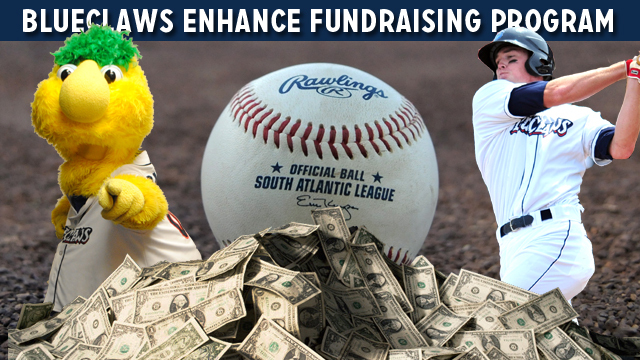 LAKEWOOD, NJ - The BlueClaws have upgraded their fundraising program, adding a new option that will enable additional local organizations to raise money through fun nights at FirstEnergy Park. "Several groups have asked us for a more adaptable fundraising option and we think our new FlexBooks fit the bill," said Jim McNamara, BlueClaws Vice President of Ticket Sales & Service. "It's a lot easier than selling candy or washing cars and it's a quick and easy way to raise money for your organization." The BlueClaws are the Jersey Shore's top stop for affordable, family entertainment. They have led the South Atlantic League in attendance in all 14 years of existence and recently eclipsed the 6-million fan plateau. 2015 BlueClaws ticket packages are currently on sale by calling 732-901-7000 option 3. For more information, visit the team's official website at BlueClaws.com.